Generally speaking, the pool construction process will take anywhere from 6 to 12 weeks to be completed. The actual timeline will depend on the size of the project, its complexity, whether any issues are encountered, the various products that have been selected, and on how quickly decisions are made. Excavation typically takes a few days, which is followed by the plumbing, form work, steel fixing and concrete spraying (which takes 1 to 2 weeks). After this, the concrete is left to cure for around 4 weeks. Then, all the finishing touches can be applied – coping, tiling, rendering, fencing, interior lining and cleaning. Finally, the pool is ready to be filled and enjoyed. 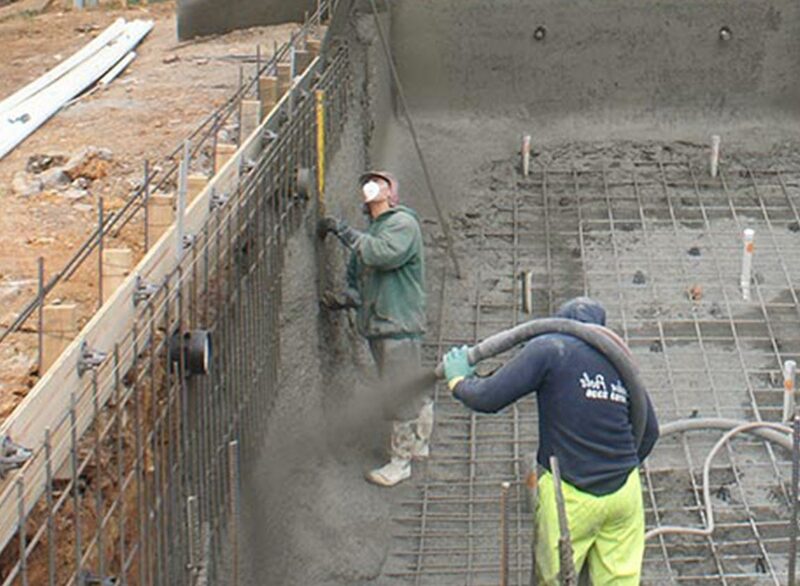 Concrete pools must be constructed on solid ground – they cannot sit in fill. This sometimes means that soil reports are required, as the engineer may need them to complete the structural design of the shell. Whether a soil report is required or not will be determined during initial consultations. 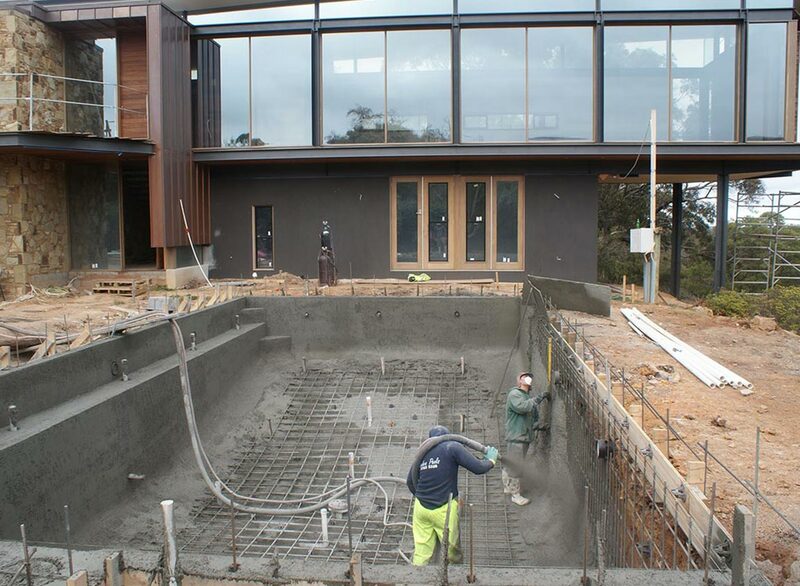 Please note that a building permit is required for swimming pool construction in Melbourne. This will require between 3 and 4 weeks lead time before the project can commence and depends on a variety of factors (such as the pool’s proximity to easements, neighbouring properties, trees, existing buildings and so on).